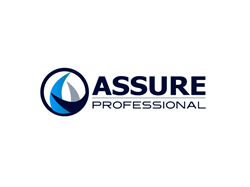 The fleet vehicle portfolio monitoring and management specialists’ systems were examined for the second time by Assure Professional, reaffirming its commitment security. Shield Global Partners, a leading provider of fleet vehicle portfolio monitoring and management services, has successfully completed a Service Organization Controls (SOC) 1 Type 2 audit for a consecutive year. Examined for the second time by leading cybersecurity, assurance and compliance experts, Assure Professional, the design and operating effectiveness of internal control over financial reporting (ICFR) for Shield Global Partners’ monitoring, management, and recovery system is SOC 1 Type 2 compliant, according to the standards established by the American Institute of Certified Public Accountants (AICPA). “By undergoing the rigorous audit required to maintain compliance year after year, Shield Global Partners demonstrates a higher level of commitment to security and transparency for their clients.” said William Holman, Assure Professional Accounting and Audit Partner. To meet the necessary requirements to achieve SOC 1 Type 2 compliance, Shield Global Partners went through a stringent review process for a period of one year, in which key areas of their policies, procedures, technologies and controls were thoroughly analyzed. “Because we handle a significant amount of confidential data for our clients, maintaining systems that are stable and free from any cybersecurity threats is vital. The SOC audit shows our continued commitment to the security of such data and that our company’s solutions and processes are held to a higher standard, which our clients expect and deserve," said Wayne Collins, CEO of Shield Global Partners. Shield Global Partners specializes in fleet vehicle portfolio monitoring and management, identifying accidents in near real-time. Shield’s custom VIN Monitoring service is just the first step in a full-service operation that provides equity reconciliation and recovery processing from beginning to end. With decades of auto and insurance industry experience, Shield’s seasoned leadership team has written the book on appraisal methodology, which has been adopted by most of the P&C Auto Insurance industry in North America. For more information on Shield’s process and services, visit shieldglobalpartners.com.